Russia’s Progress M-16M spacecraft, also known as 48P, launched to the International Space Station (ISS) on Wednesday for a test of a new rendezvous profile that resulted in the Progress docking with the Station just six hours after launch. Launch was on schedule at 3:35 PM EDT/7:35 PM GMT atop the Soyuz-U booster from the Baikonur Cosmodrome in Kazakhstan, ahead of the docking soon after. The change from the traditional two day rendezvous to a new six hour rendezvous was detailed in a Russian document describing the new rendezvous profile, which was seen by NASASpaceflight.com. On all previous flights of Soyuz and Progress spacecraft to the ISS, a two day rendezvous profile has been used, which corresponds to around ~50 hours between launch and docking to the ISS. This two day rendezvous is driven by the orbit of the ISS, which is fixed and cannot be adjusted to allow for specific positioning between a “chaser” spacecraft and the ISS, although minor optimisation adjustments can be made via ISS reboosts. 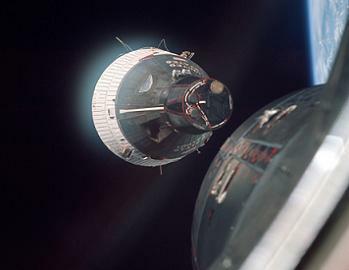 In the early days of the space program, such as the Gemini missions, a fast rendezvous between the Gemini and Agena target vehicle was used due the fact that both spacecraft were launched within hours of each other, allowing for co-ordinated launch profiles of both spacecraft, that allowed for a specific, accurate relative position the be attained between the two spacecraft immediately following launch of the chaser vehicle (Gemini). Specifically, this made possible a low initial phase angle, or a low angle between the orbital phase of the Agena, and the orbital phase of the Gemini spacecraft. Since this placed both spacecraft closer together immediately following launch, this reduced the amount of rendezvous burns, or phase adjustment burns, that were needed, allowing for a fast rendezvous. In the case of the ISS however, since it is not launched within hours of a Soyuz or Progress, its launch profile/orbit cannot be co-ordinated with that of the Soyuz or Progress, meaning the Soyuz or Progress instead has to “fit in” with the orbit of the ISS. 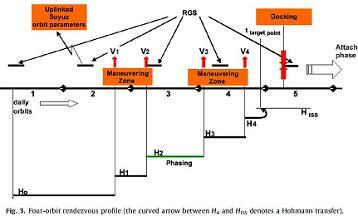 This makes the aforementioned low initial phase angle necessary for fast rendezvous (which is 30 degrees) hard to achieve, and so the two day rendezvous profile is used since it allows for a greater initial phase angle (270 degrees), as that phase angle can be lowered by more phase adjustment burns over the course of two days. 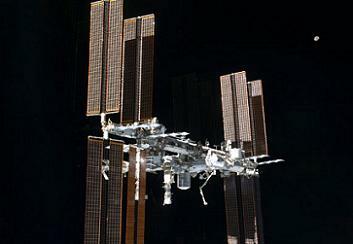 Thus, if a shorter rendezvous than two days is to be achieved between a chaser spacecraft and the ISS, an extremely precise orbital insertion is required by the Launch Vehicle (LV), in order to deliver the chaser spacecraft to an orbital position closer to the ISS, thus eliminating the need for additional phasing burns by the spacecraft, in turn allowing for a faster rendezvous. Under the traditional two day rendezvous profile for Soyuz spacecraft, the three Soyuz crewmembers are confined inside the Soyuz Descent Module (SA) and Orbital Module (BO) for the duration of the rendezvous, with only 0.5 meters cubed of volume available per crewmember. This is known to be a stressful part of the flight for crewmembers, especially considering that they may be experiencing space adaptation symptoms during this time. Due to this fact, a shorter rendezvous profile is preferable to Soyuz crewmembers, however, as aforementioned, a shorter rendezvous is also more challenging due to the tight orbital insertion parameters, which is what has been preventing a shorter rendezvous until now. However, analysis into the issue seen by NASASpaceflight.com shows that an orbital insertion for Soyuz and Progress spacecraft by Soyuz boosters, within the desired fast rendezvous parameter of 30 degrees initial phase angle, is possible. If precise orbital insertion accuracy is not achieved however, additional braking burns will need to be made by the chaser vehicle, which will consume more fuel than desired. Fast rendezvous is also now made possible by recent modifications to Soyuz and Progress spacecraft in the form of entirely digital flight control systems, allowing for fully autonomous phase adjustment burns to be performed by the vehicles themselves. In order to achieve the fast rendezvous, which has been set at four orbits, or six hours after launch, the ISS’ orbit must be in the optimal plane on the day of launch of the chaser vehicle. This is achieved via orbital adjustments to the ISS’ orbit via reboosts, which in order to enable a fast rendezvous must begin six months prior to the planned launch of the chaser vehicle. This means that if any unexpected event occurs, such as a chaser vehicle launch delay, or an unplanned ISS Debris Avoidance Maneuver (DAM), the chaser vehicle must revert back to a traditional two day rendezvous profile prior to launch. However, assuming that the ISS is in its nominal three day recursive orbit (about 400km at 51.6 degrees inclination), opportunities for a fast rendezvous from the Baikonur Cosmodrome launch site will be presented every three days (two day rendezvous presents opportunities every day). Although the desire for fast rendezvous relates to the Soyuz spacecraft, since this rendezvous profile has never been used before, an unmanned test was first performed via the Progress M-16M spacecraft on Wednesday, with the view to using it on future Soyuz and Progress spacecraft, with the benefits of fast rendezvous for Progresses being fast delivery of biological payloads to the ISS. 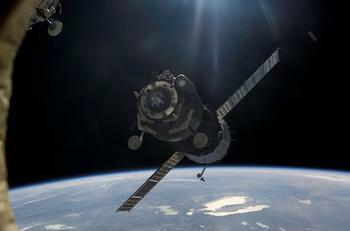 The specific procedure for the fast rendezvous began at the conclusion of orbital insertion of Progress M-16M, on Daily Orbit-1 (DO-1), or the first ISS orbit of the day on August 2, Russian time. Following insertion on DO-1, the next pass of Progress M-16M over a Russian Ground Site (RGS), the actual orbital parameters were uplinked to Progress M-16M so that its on-board computers could perform the first two of four phase adjustment burns. It was necessary for Progress M-16M to perform these burns autonomously, since they must occur at a time when Progress M-16M will be out of RGS visibility. As aforementioned, the ability for Soyuzes and Progresses to perform autonomous burns is a recent addition via the new digital flight control system. Unlike the US with its Tracking and Data Relay Satellites (TDRS), currently Russia can only communicate with the ISS or chaser vehicles when they pass over an RGS, although the new Russian Luch-5A satellite should provide a capability similar to the US TDRS to the Russian Segment (RS) of the ISS in a few years’ time. Had it been required, an abort for a one day rendezvous by Progress M-16M was available via two emergency burns, following analysis of the burn data from the DO-2 RGS pass. With the Progress M-16M data from the first two rendezvous burns compared with the expected values, a GO was given to proceed with the final part of the rendezvous – two fixed burns, which led to a docking to the ISS on DO-5. Docking was completed at 9:18 PM EDT August 1/1:18 AM GMT August 2, at the Docking Compartment-1 (DC-1) “Pirs” port, vacated on Monday night by the Progress M-15M/47P spacecraft. After unloading of its two tons of supplies for the ISS, Progress M-16M will undock from DC-1 on December 25 this year, to make way for Progress M-18M/50P, which is currently planned for launch on December 26. Prior to that however, following undocking of Europe’s ATV-3 from the Service Module (SM) Aft port on September 25, the Progress M-17M/49P, which will dock to the vacated SM Aft port, may too use a fast rendezvous profile. While Progress M-17M is currently planned to launch on November 1, for a docking on November 3, it is possible that it could both launch and dock to the ISS on October 31. 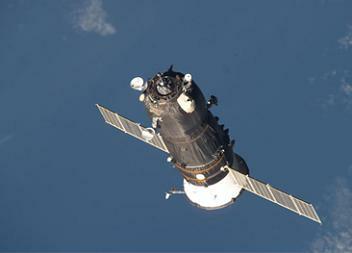 Use of the fast rendezvous profile with a crewed Soyuz spacecraft is currently planned for early next year.